Note Name Arcade Game | Eek! Shark! Toss those printable worksheets! 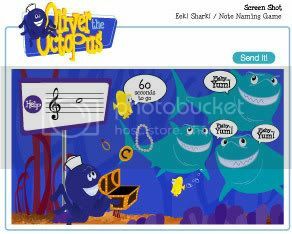 Learn your notes names with Oliver and the gang with a brand new online arcade game. Select the treble or bass clef, set the note range that you would like to practice, and play!